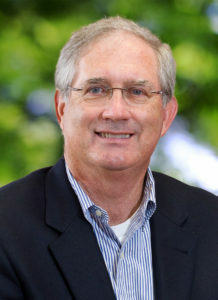 As the director of economic and community development for the City of Decatur, Wally Terry provides leadership and support to the Building, Engineering, Planning and Community Development departments. He is responsible for coordinating and inspiring strategic development efforts throughout Decatur. In addition, his focus is to support and enhance economic activity within the city. The emphasis for him will be the development community and better coordination between public and private agencies. His role is to ensure strong partnerships with other organizations whose missions are to make Decatur a destination city, to attract investment that builds a vibrant economy, to strengthen the heart of the city, and to enhance neighborhood livability. The evaluation of the city’s economic and community development processes and programs are a priority. Coordination and communication with the city council, other agencies within the city, county and state, as well as the community are all key components to continuing to build a strong community with a high quality of life for all of Decatur’s citizens. This will be the ongoing emphasis for the combined departments.